As technology continues to change and become more and more in depth, so does a lot of other techniques and applications used in everyday life. One very impressive and great alternative to painting your vehicle has in fact began to spread like wildfire. 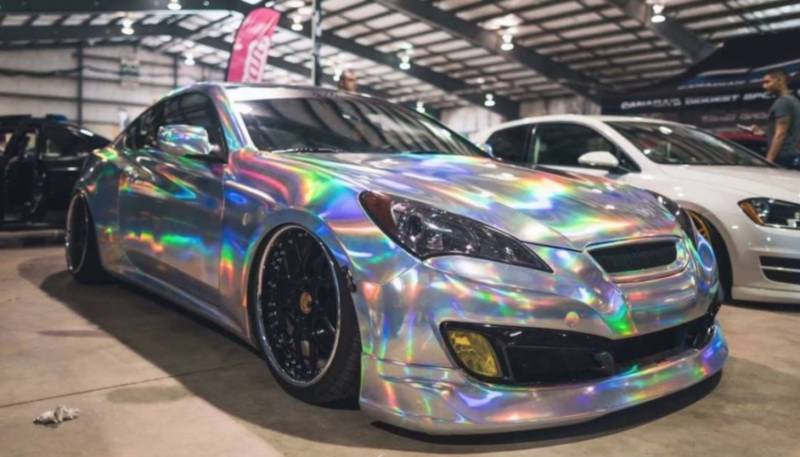 Vinyl vehicle wraps for your car are taking over the traditional ways of painting your car and has allowed for less of a color commitment as well as a price break. Vinyl wraps not only can change the color and finish of your car’s exterior paint it can also aid in advertising and marketing your business. More and more larger scale companies and those on a smaller scale as well have turned to vinyl wrapping their company’s cars or fleets with the company logo and brand embolized. For those just looking to change the color or appearance of their vehicle others are using these wraps to create a matte finish or showcase other intricate art and design. Looking around at the different types of wraps out there I came across #201Wrap vinyl wraps and they are incredible!! From patterns and colors to chrome finishes and simple accents added to cars it’s a new form of artwork that is amazing to see!! Curious to learn a bit more about this interesting technique I started gathering more information and definitely see why choosing to wrap your car is probably the better option over traditional paint. The first pro is that you can create a one of a kind look that no one else will have. It allows you to really be unique and show some individuality. Another great thing about vinyl wraps is that it doesn’t lower the resale value of your car like that of a paint job can. Why? Because vinyl wraps are 100% removable allowing your car to be restored to it’s original color with no harm done. It thus also protects the OEM paint as well as does not void the warranties and lease agreements in place that permanently altering your car with paint can. Probably one of the greatest advantages of vinyl wraps is also the cost. Wraps are considerably less expense than that of a paint job. So much so they are generally about half the cost once everything is said and done. So not only are you saving money but you are also freshen your car’s appearance and hiding any dings or scratches you may have acquired over the months or years. The fact that any graphic you pretty much want can be done is even better. It allows for you to be creative and get more in depth with your design. The fact that you can use it as a marketing tool for your business and customize your fleet of cars is a great option as well. One thing that you want to be sure of before proceeding to get your car or truck vinyl wrapped is that the business or person doing the job is EXPERIENCED. Ever heard of the term you get what you pay for? Well it is definitely true in the vinyl wrap world. You want to make sure that the printing done for the wrap is done in high quality and with a well maintained printing machine. You also want to make sure the technician doing the wrap is tuned into detail and is experienced. Air bubbles and uneven wrapping can really be an eyesore and can be expensive to have to fix. Make sure you are thoroughly happy with the job done prior to leaving the shop. It’s also advised to look at the person or company’s previous work to kind of get an idea of what to expect for your vehicle. I definitely think that vinyl wraps will continue to prosper and grow to an even bigger and bigger industry. Boats are able to wrapped as well as mopeds, and trailers etc. With the pros outweighing any of the cons if there are really any to begin with, this is a lucrative industry that is arising and a great and affordable option for all vehicle owners.